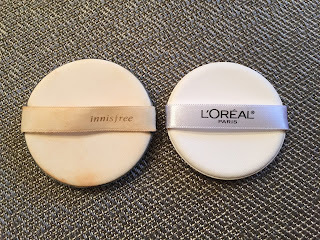 The Korean cushion style foundation craze has definitely sparked big western cosmetic companies here in the US and Europe to stop and take notice. In order for these company's to remain competitive against the strongly established "cushion" category in the Asian Beauty world, I think we are going to see the rise of US and European brands releasing their versions of the cult classic cushion foundation. Cushion foundations are beginning to pop up lately everywhere like the Lancome's Miracle Cushion, Pur Minerals' Air Perfection Compact Cushion and brand store brands like Physician's Formula All-In-1 ABC Cushion and the new L'Oreal True Match Lumi Cushion. Here you can clearly see that the puff applicator is a bit smaller. 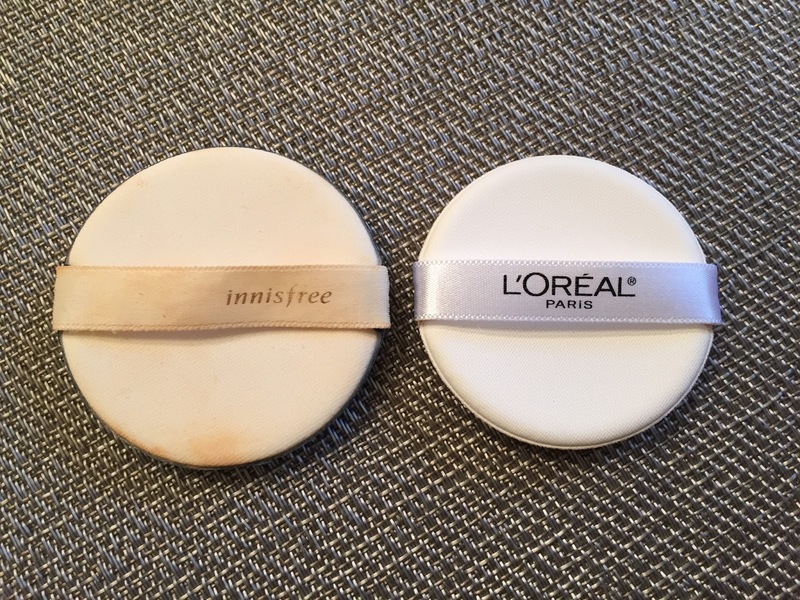 The puff is also less dense as both the Iope and Innisfree. This makes the application less air brushed, elegant and smooth in my opinion. As you can see from the display, I picked up the N-2 and C-3 to try out and review. These two colors are the lightest shades available for my neutral to cool skin tone. I would like to point out that this does not contain any sun protection! 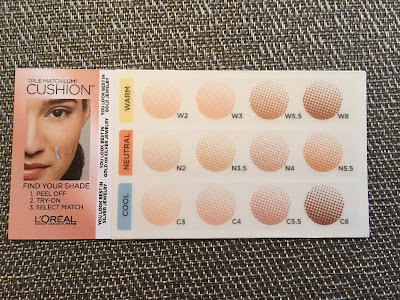 I love that L'Oreal offers a large array of shades although as you can see above, the lightest shade in the both the Cool and Neutral category are too dark from my N 10-15 skin tone :( As you can see above, I applied the color N-2 on one side of my face. 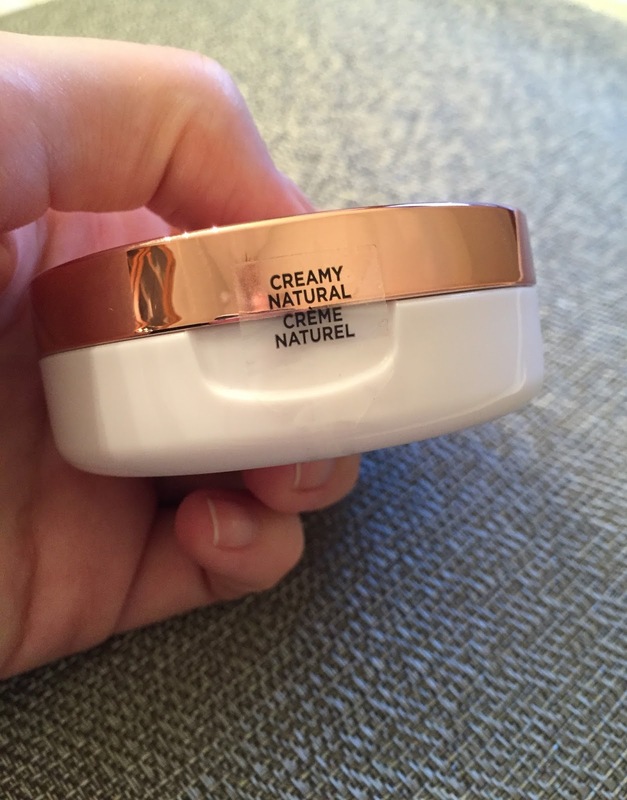 The formula has a soft, slightly creamy, non oily texture that is super easy to blend. 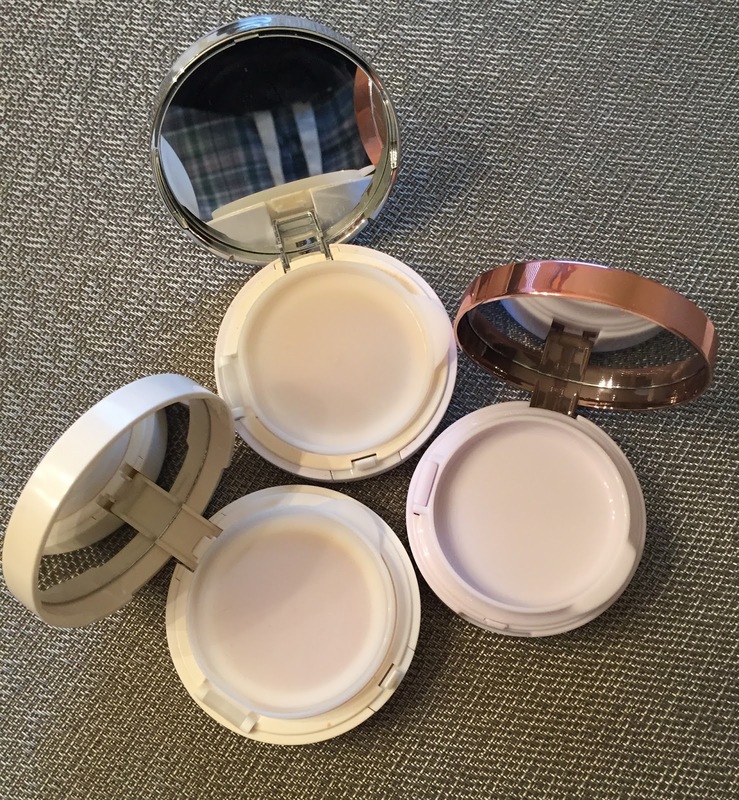 The coverage appears around the medium range and this is definitely buildable. This did do a decent job at covering my post acne scars but unfortunately the color just doesn't work! The case itself is cheap looking. The design label on the top of the case is just a sticker but I do like the rose gold color on the top portion of the case. However, the case itself scratches easily. No refills is another negative. It just seems so wasteful. Since the rose gold color case scratches easily, it might be a good thing that after you are done you can just toss it. Scent...I am glad to report that this has no detectable scent :) This is a huge plus for me and those sensitive to fragrance. 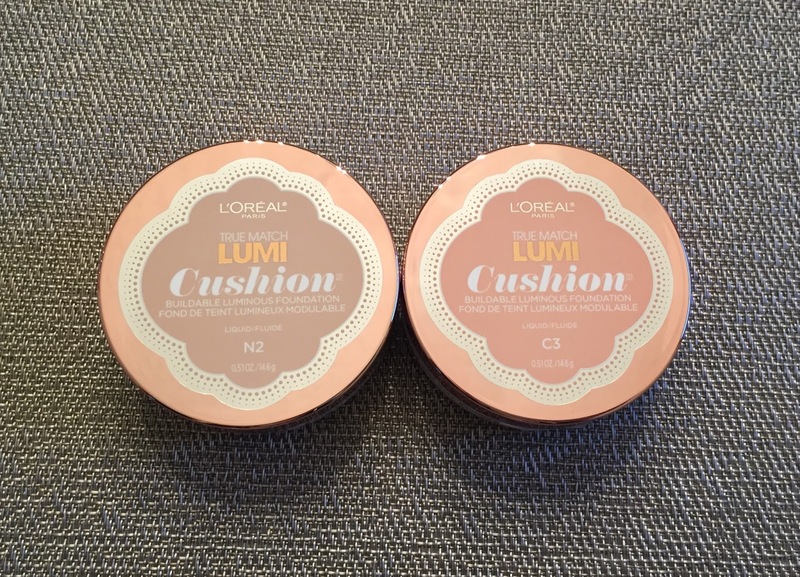 Again, this cushion foundation has no SPF. 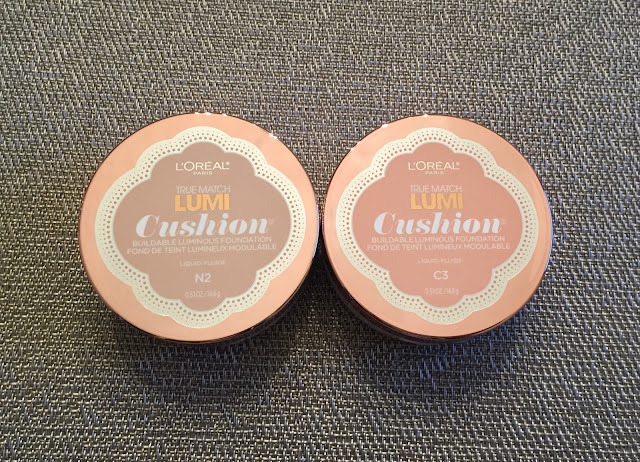 As you can see from the display pictures above, the L'Oreal True Match Lumi Cushion retails for $16.99 USD. Not super cheap for a cushion you just throw away went it runs out. 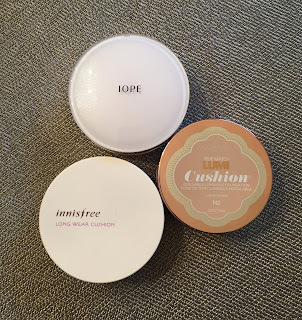 On the flip side, it is more wallet friendly compared to the Iope cushion or some other higher end Asian beauty brands. I feel that I would rather spend a little more money on a nicer, more scratch resistant case that offer refills. 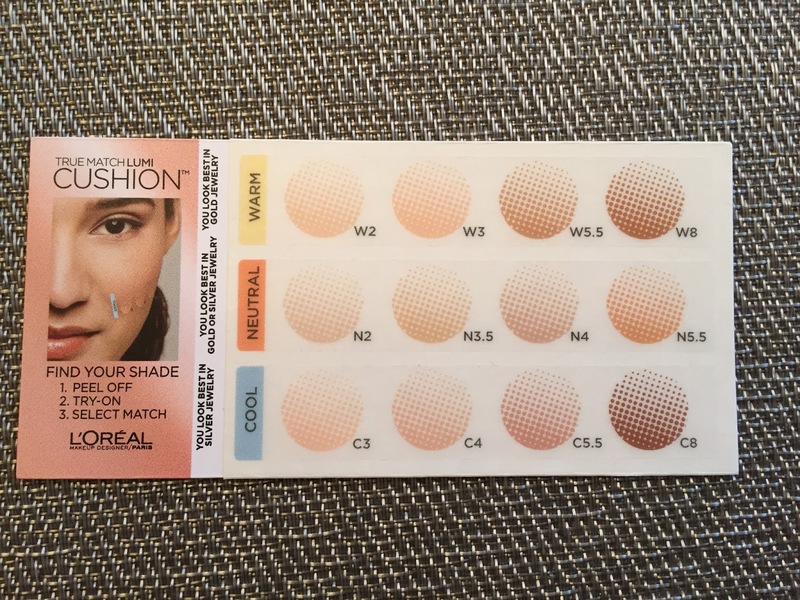 It's safe to say that I am a little disappointed in the shade range for those of use pale girls out there! 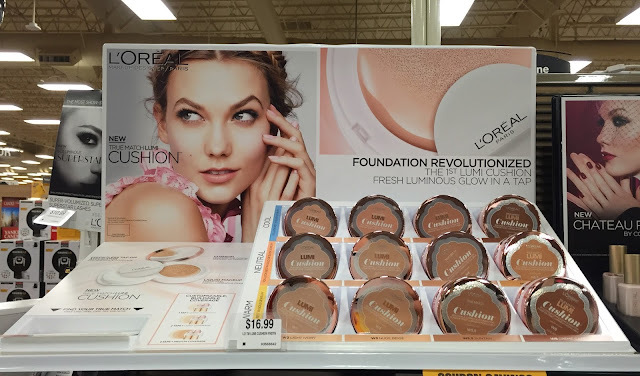 I do hope that L'Oreal will end up seeing that there is a huge market and need for offering fair shades and will expand the color selection in the future. The N-2 is close but it is still too dark and a little too yellow. I do like the finish of this cushion as it is true to its name and does leave a luminous finish without looking oily. Dewy is the word! 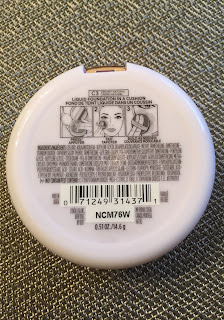 I can't speak to how this formula wears throughout the day because I did not feel comfortable wearing it outside. 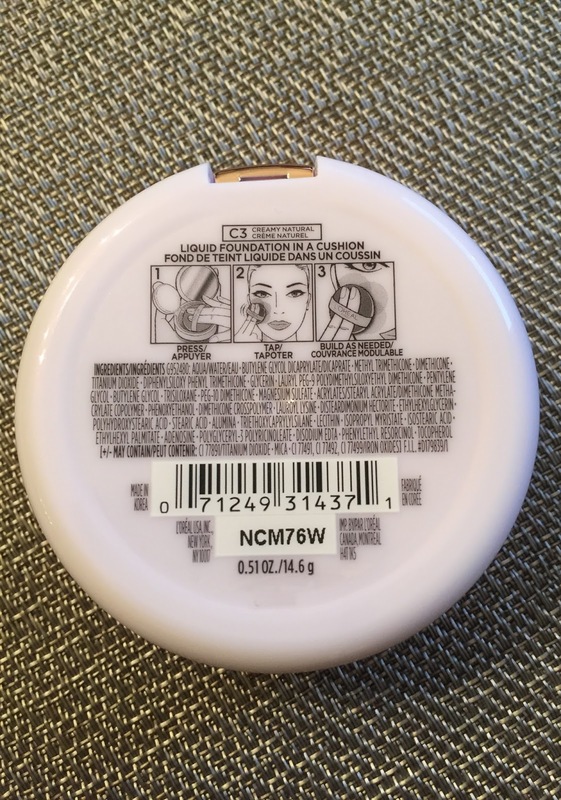 For those of us with sensitive skin, since I did not get the change to wear this product for a long period of time, I can't speak to if the product would cause me to break out. I did wear it for over an hour inside the house and I did not experience any reaction in that period of time so that is a positive. One huge positive is that this formula did not accentuate fine lines or dry, flaky patches on the skin. I was pretty impressed overall on how this foundation made my skin look so I am really bummed that I can't find a good color match.